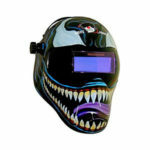 Miller is one of the more well-known and leading companies when it comes to welding protective gear. Time and time again they have released top quality products with amazing features. Which is exactly the case for the Miller Titanium 9400i. 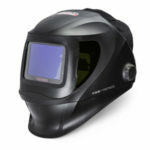 This welding helmet has a great range of features that you won't find in other cheaper welding helmets, but with a higher price tag and some issues with comfort and weight, the Titanium 9400i might not be right for you. In this Titanium 9400i review we'll go over what makes this helmet so great and some of the issues associated with it. The first thing that will stick out to you when you use this helmet is the perfect visibility. To give your eyes maximum protection the Titanium has an auto-darkening lens with a light shade 3 and variable shades 8-13. To make things even better, Miller has given the Titanium 9400i four different operating modes including a weld mode, cut mode, grind mode, and an X-mode. 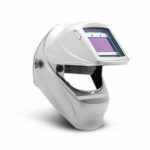 With the option of four different modes, you'll know that you'll have optimal clarity no matter if you're just a hobbyist or a welder working on a large job. With a rare design, the Titanium offers extra protection not only for yourself but for the helmet itself. 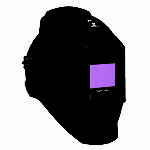 The helmet is designed with a solid alminium heat shield. 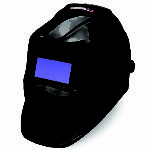 This heat shield helps protect the helmet's digital lens increasing the durability to help get your money's worth. The unique design of the Titanium 9400i helmet also has the ability to keep whoever is wearing it cool in extreme situations. The design is also built to help prevent sweat so it can be worn for longer periods of time on those long jobs. I only have two minor complaints when it comes to the 9400i. The first being that the unique design of the helmet has a downfall. It tends to get a bit heavy and becomes uncomfortable after extended use. Although this was only a minor annoyance for me. My second peeve with this helmet is mostly just the price. Obvisiouly though the higher price tag was justified with all the features, durability and design of the helmet. If you have the higher budget, I really do reocmmend the Miller Titanium 9400i. With all the amazing features and great design, this helmet is up to the task no matter how big or small. But if you happen to have a tighter budget you would be better off going with the Lincoln 3350 or the Miller Digital Elite which are cheaper and almost come close to the great performance of the Titanium 9400i.